MacArthur is a large oxide copper deposit with a clear path to production. MacArthur also has an underlying primary sulfide resource that has not been fully explored. MacArthur is owned by SPS. 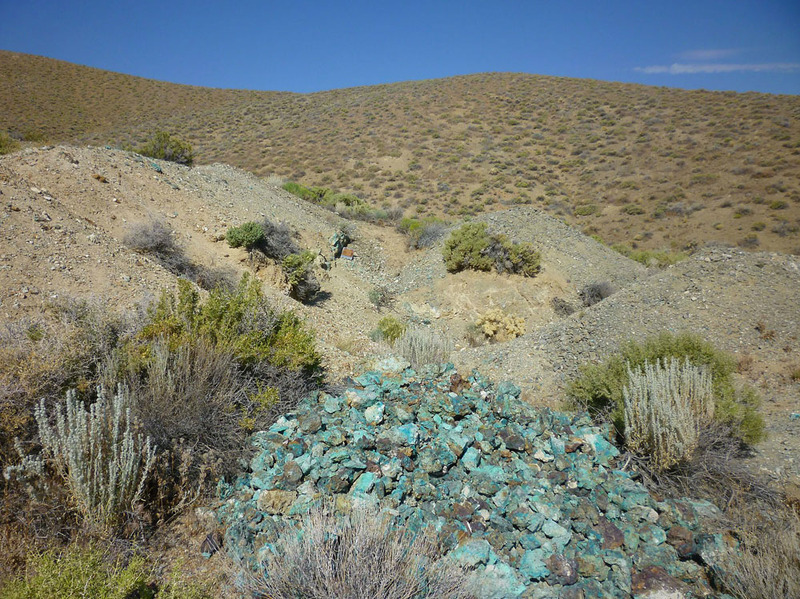 Located in Yerington, Nevada, 50 miles southeast of Reno, MacArthur is part of the Yerington Copper District. This district has a large metal endowment with several known copper deposits controlled by different companies including those at Pumpkin Hollow, Ann Mason and those associated with Quaterra´s assets. An independent Preliminary Economic Assessment (PEA) was completed by M3 Engineering & Technology Corp. (M3) of Tucson, Arizona titled “Amended NI 43-101 Technical Report Preliminary Economic Assessment Lyon County, Nevada, US,” and effective May 23, 2012. It demonstrated that MacArthur has the potential for development as a large-scale copper oxide heap leach operation that would provide long-term cash flows for a relatively modest capital outlay. The PEA also shows that MacArthur remains open to expansion. 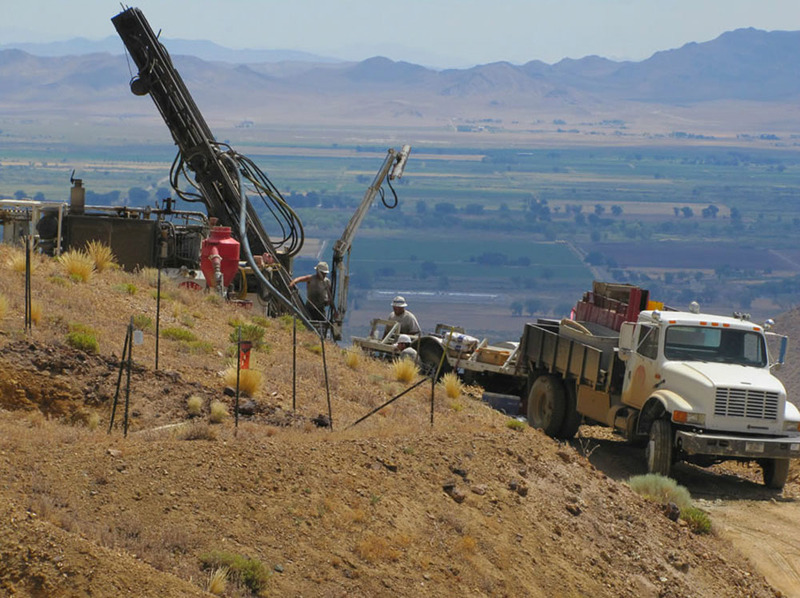 The shallow mineralization and favorable topography, combined with available resources and infrastructure are factors that could lead to the development of a near-term heap leach operation. Also present at MacArthur is an underlying primary sulfide resource that has not been fully explored. Cautionary note: A PEA should not be considered to be a pre-feasibility or feasibility study, as the economics and technical viability of the Project have not been demonstrated at this time. A PEA is preliminary in nature and includes Inferred Mineral Resources that are considered too geologically speculative at this time to have the economic considerations applied to them to be categorized as Mineral Reserves. Thus, there is no certainty that the production profile concluded in the PEA will be realized. Actual results may vary, perhaps materially. 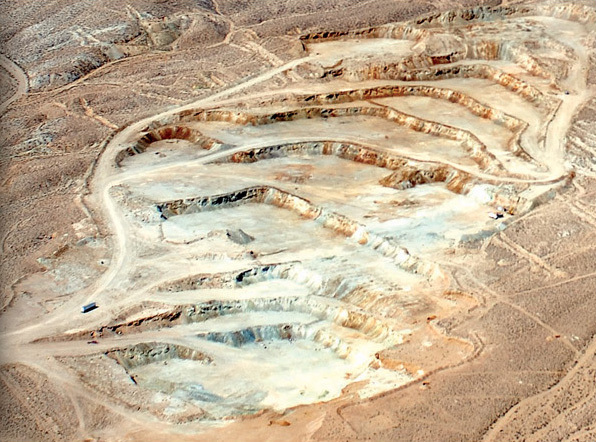 An open pit mine based on an acid soluble measured copper resource model of 71.8 million tons at 0.218% copper and an indicated 87.3 million tons at 0.208%. The inferred resource is 243 million tons at 0.201% copper. Recovery of 747 million pounds of copper over the 18-year mine life at an average mining rate of 15 million tons per year with a waste to ore stripping ratio averaging 0.90. Initial capital expenditure of US$232.7 million. Average life-of-mine operating costs of US$1.89 per pound. An after tax internal rate of return (“IRR”) of 24.2% with a 3.1-year pay back. 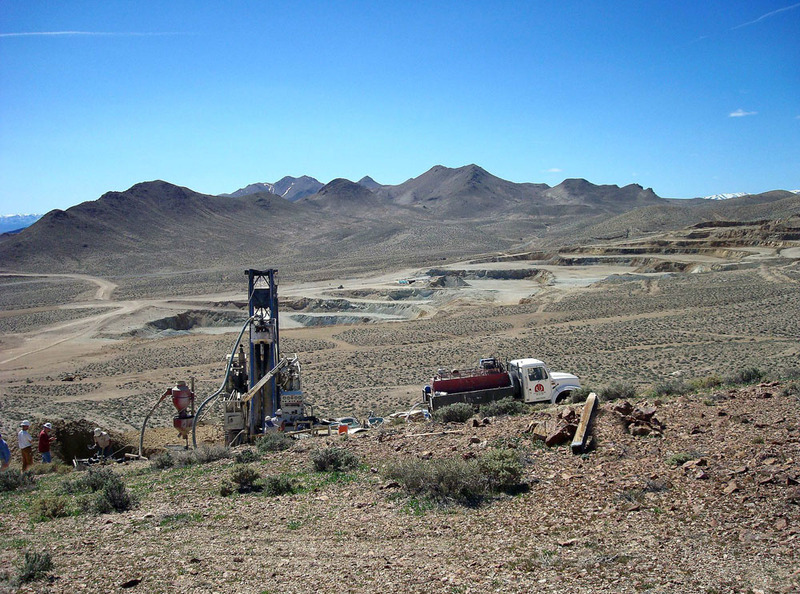 Tetra Tech, Inc. of Golden, Colorado, completed a National Instrument (NI) 43-101 compliant independent resource estimate for the MacArthur property titled “MacArthur Copper Project NI 43-101 Technical Report, Lyon County, Nevada, USA,” and effective February 17, 2009. At a 0.12% cutoff, the tonnage of the measured and indicated oxide and chalcocite resource has increased 10.7% to 159 million tons at 0.212% copper compared with the previous resource estimate released in December 2010, adding 123.9 million pounds of copper (for a breakout of the individual resources in the measured and indicated categories please see the table below). The inferred oxide and chalcocite resource of 243.4 million tons at 0.201% copper has increased 13.2% from December 2010, adding 132.6 million pounds of copper. MacArthur’s measured and indicated sulfide resource at a 0.15% cutoff is 1.1 million tons of 0.292% copper containing 6.4 million pounds of copper (for a breakout of the individual resources in the measured and indicated categories please see the table below). Although the pounds of copper in the measured and indicated sulfide resource grew by just 1% (a 24% decrease in tons offset by a 34% increase in grade), the inferred sulfide resource grew by 82% to 134.9 million tons of 0.283% copper, adding an additional 385 million pounds compared to the December 2010 estimate. 3D rendering of the MacArthur underlying Copper Oxide, Mix-Cu Oxide & Chalcocite and Primary Copper Sulfide locations. Mineral resources that are not minerals reserves do not have demonstrated economic viability.